In this sense I want to address this to you! I'm a Social Worker (graduated in February) from Switzerland. I will stay for 2 months in the Centre Fanovozantsoa in Madagascar to implement new methods of social work (Infants-concept). Meanwhile are the kids on their school holidays, which means that they have time for several activities. 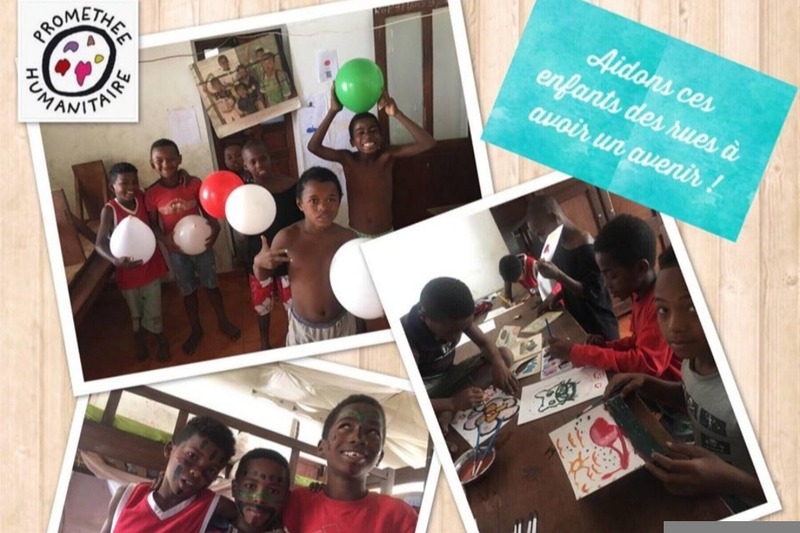 To be able to offer them some activities during their Holidays we need some financial support, therefore we reach out to you for YOUR help! We have as well a wonderful volunteer, Océane (architecture student), who is giving some french and math classes for the children. One week ago I arrived to Madagascar, which is one of the poorest countries in the world. Once I've arrived, I was literally shocked. The medias expose the most beautiful sides of Madagascar! (Which are not deniable). Nevertheless about 72% of the population lives below the poverty line. 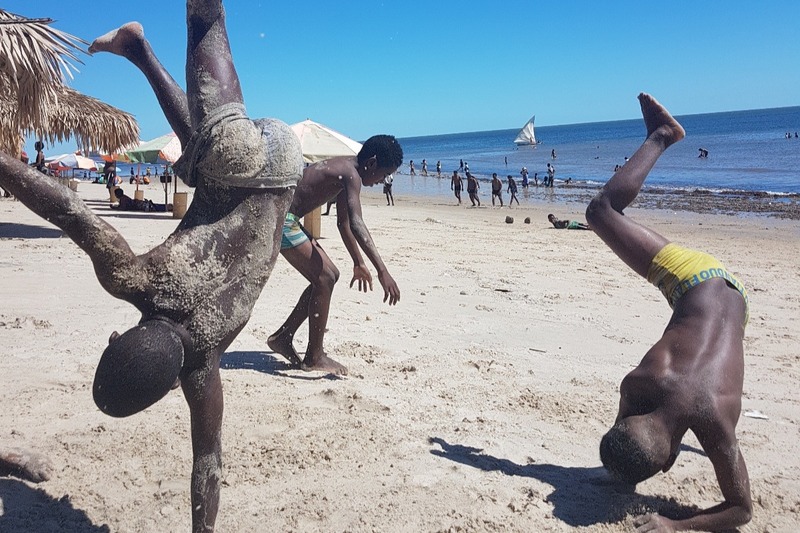 Over 100 children living on the streets of Mahajanga were identified. Just surviving is the daily task of these children, who are often victims of inclement weather such as monsoons; deprivation; and poverty, as well as potential violence and sexual abuse. 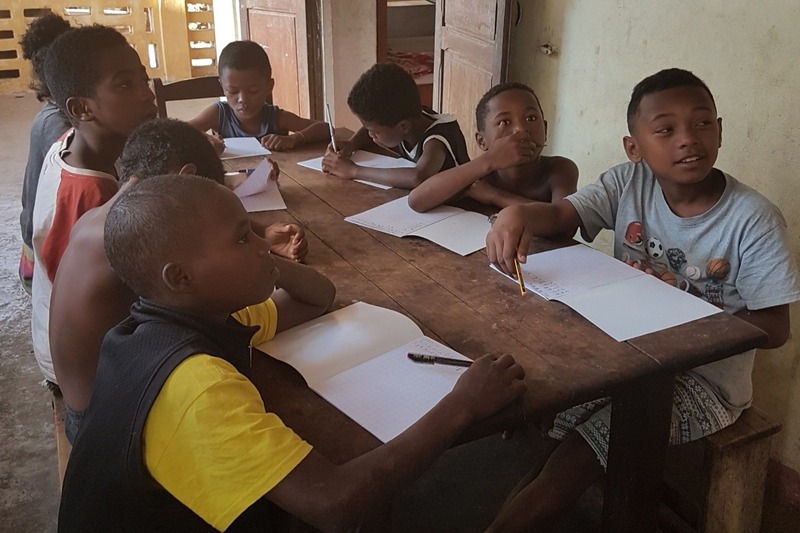 The Centre Fanovozantsoa in Madagascar assures for 15 children’s safety and the respect of their fundamental human rights, promotes their education (both scholarly and professional) for their personal and social fulfillment, and helps them plan for their future in order to break the cycle of poverty. However, the organization does not have sufficient funding to meet the real needs of the center, and we are actively seeking partners and financial support! We do search for long-term investors as well as short-term! Prométhée Humanitaire is a non-profit association focused on children at risk, with no religious, political or governmental affiliations. We are committed to supporting children into adulthood if they cannot return to their families. For 20 years, 160 volunteers have worked in Paris and on the ground to offer children these vital needs: shelter, education and love. On behalf of all the kids I thank you all in advance!